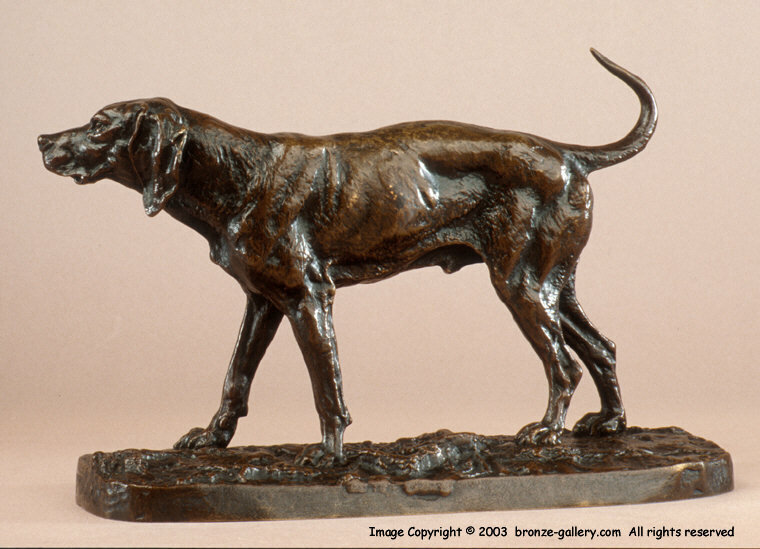 Mene did many studies of dogs, especially hunting dogs. His setters, pointers, and hounds all show great individuality and most are models of particular dogs. This study of a Hound is well modeled and must have been a popular sculpture. Mene first sculpted him in 1843. The Hound has been reproduced in Parian ware and also by many of the porcelain manufacturers such as Copeland, Nymphenburg, and Meissen. 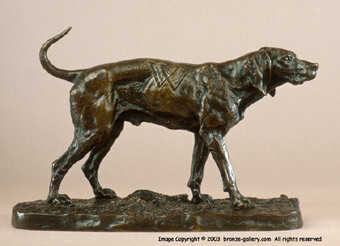 The bronze is finished in a rich dark brown patina and is cast by the Susse Freres foundry.